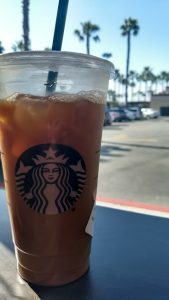 Hi, my name is Jaymi, and I am addicted to caffeine. I first discovered my problem a few months ago. We ditched the kids and went away to a wedding, and had the best time ever. We were surrounded by people we’ve been friends with for decades, and it was absolutely amazing to get to do all the adult things I wanted, whenever I wanted to. Tops on my list? Hot coffee. And lots of it. Isn’t that every mom’s dream? We meandered down to this adorable little bakery and I told the lady, as I am apt to do, that I wanted a hot coffee the size of my head. And she gave me the biggest cup, and pointed me in the direction of the self-serve, and I emptied that sucker into my cup. Like, literally emptied it. And then I ate my delicious pastry, and refilled it. And refilled it one more time, emptying the giant coffee dispenser again. “But!” I tell myself. “But their kids are older! They are getting more sleep than I am! I shall ask my mommy friends, the ones with two or three kids under five. THEY know my struggle.” After all, we talk about coffee non-stop. So I know they’re with me. I make a quick survey asking my momsquad to give it to me in ounces, their daily intake. On average, those coffee-obsessed broads are drinking between 12 and 20 ounces a day. While I’m putting away 50. But because I hear about coffee nonstop, and I’m not that vocal about it, I always assumed whatever I was doing was normal. Coffee isn’t even “My Thing.” It’s our cousin Daniel’s, who we sometimes call “coffeecoffeecoffee,” or my friend Courtney’s, who posts about coffee on her Facebook page about once a week. The ones who are constantly waxing poetic about their daily joe. There are millions of memes, images, dialogues about coffee. There are shirts emblazoned with “All I Need is Mascara and Caffeine,” and mugs saying, “Heart, Hustle, and Coffee” (okay, that’s my mug, and I made it. But still). Again. Not so, my friends. Maybe I scale down my use a bit, see how it goes, in a moderation-is-everything approach. Or do I take this new information and use it to find a program, and get myself some help? I feel like it’s gonna take a bit more than the Serenity Prayer to get me through a day with these little monsters, but hey, it’s worth a shot. Of espresso, that is. Obviously. I don’t know what’s normal, but I’m with you. My typical day includes one giant thermos of coffee and 3-4 cups throughout the work day. I say drink as much coffee as you can before your teeth start vibrating! I used to drink 4-5 cups of a day! I switched to tea two years ago, but I still love the smell of it! Right? There’s something about the smell that just perks you right up! I’m impressed with your ability to cut it out. Like, SUPER impressed. Good for you! I love coffee. It’s not for refreshment or for keeping me awake. It is its smell and taste that drives me crazy. I really need it to stay sane. I unfortunately can’t have caffeine. It bothers me. But this sleep-deprived mama could really use some! I wasn’t a coffee drinker until I had kids. Some days I am okay with one 8oz cup. Other days I need 3. There is no such thing as a limit ! Lol! 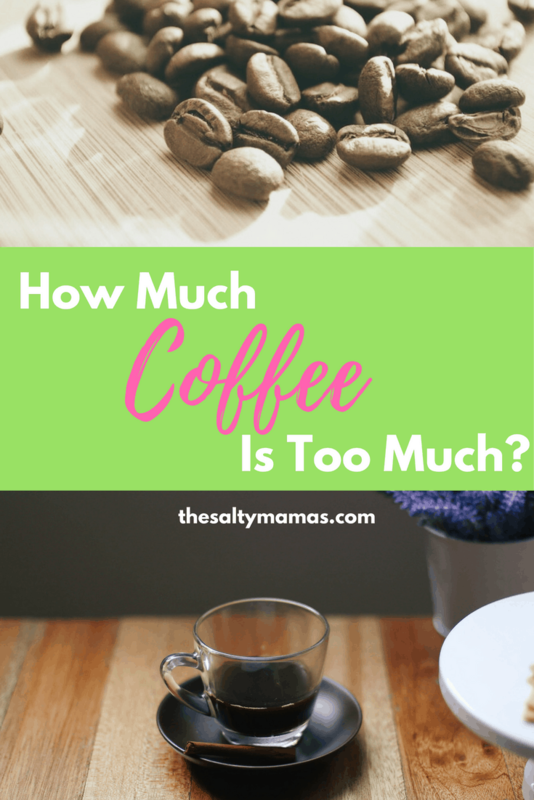 50 ounces of coffee sounds like a lot! But, I’m a one-cup per day max drinker. That so, this totally cracked me up. Coffee on, girl! I am also all about the coffee (former barista after all). As long as you aren’t getting the jitters or major headaches when you don’t have any, I say you are fine! 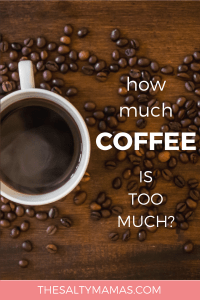 You could never have too much coffee! I have about 3 cups a day. It also depends if I’m working. But I absolutely love it! I’m a little bit into coffee, as well. 😉 I don’t think there’s such a thing as too much. It’s good for the soul, in my case. I’m pretty sure there’s days where I’m drinking coffee all day long. I’m curious how much I put down in a day. It’s so good, and helps me get so much done!